Moving to Disney » Sit back, relax, and move to Disney! Sit back, relax, and move to Disney! In my very first post I listed some of my inspirations for creating a site to document our plans to move to Disney. I then put those links in my sidebar so they’d be on every page of the site within easy reach of readers. But there is another link I put over there at the very top that I hadn’t mentioned yet. That link leads to an inspiration, not for this site, but for the entire idea behind the site. WDW Radio. I wanted to wait to mention them until I could do an entire post about my favorite podcast of all time! After getting even more excited than usual about one of their recent shows (you should have no trouble guessing the topic! ), what better time than now. I starting listening to the Lou Mongello helmed podcast in the mid-to-late 2000s. We’d play our favorites on the drive down to Orlando to get us excited for what was coming! But my affection for the show was cemented after a major medical issue I had in 2010. I attended rehab for several months afterwards and listening to back episodes of WDW Radio helped get me through. It was in following Mongello I discovered that the dream of moving to Disney was a reality for many people rather than just a nutty notion. He had actually done it! Quit his job, uprooted his family, and headed to Florida! Specifically because of Disney World! And he wasn’t crazy! While he never shied away from the topic when it would come up organically, in over 500 episodes Mongello never had a show dedicated to moving to Disney — until now! “This week’s show is an episode that is literally 10 years in the making, as moving my family, my business, and my entire life to Walt Disney World was one of the most important decisions of my life. This week, I gather members of the WDW Radio Nation who are not only friends, but neighbors, as we share our experiences about moving our families to Walt Disney World. In the first part of our two-part conversation about Moving to Disney World, we will cover topics including making the decision to move, timing, logistics, sequence, location, buying vs. renting, neighborhoods, schools, kids, pets, cost of living, and even the weather. We share not only our personal experiences, but real-world, practical advice… just in case you’ve been thinking about making the move to Disney as well. The entire four hour running time is full of helpful information. Though do be aware that while there are nine people in the discussion, they share similar backgrounds so some of their experiences may not apply to everyone. For example they’re all around 30-50 years old I’d guess so you won’t get much on moving to Disney for college or retirement. They almost all are originally from the northeast United States. So when they are shocked by how inexpensive housing and the cost of living are in Orlando compared to what they had previously, that probably won’t be applicable to those of us living in fly-over country where it’s the norm. (They also spent time talking about how friendly the people are compared to where they moved from. That’s just the south in general y’all!) Lastly, most of them moved to the same area of Orlando, so talk of other neighborhoods was a little limited. Ignore that last paragraph though! This is an easy to recommend episode! There is so much useful information packed into this one that I’ll probably be going back to it again and again over the next few years to learn as much as possible from their experiences. While there are blogs and articles from people who have made the move, there is nothing like actually hearing from them and listening to the emotions in their voices as they talk about it. 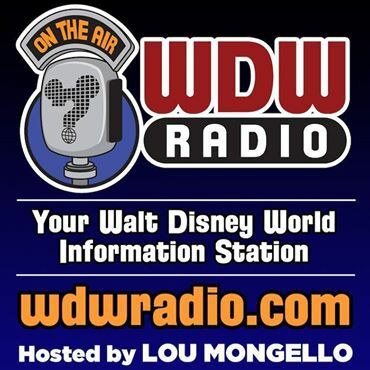 If you’re a newbie to WDW Radio, it’s a must-subscribe podcast: be sure to listen to his other shows. The best thing about each episode is this isn’t just a job for Mongello; you can hear the love he has for Disney. And that love is something those of us considering the move — and those who have already done it — all obviously share!